What types of headaches occur during pregnancy? There are 3 types of headaches commonly seen during pregnancy: tension headache, migraine, and cluster headache. Most women had headaches prior to getting pregnant but about 10% of women experience headaches for the first time while they are pregnant. Tension headache is the most common one. It typically feels like pressure on one or both sides of your head. It tends to occur in a band-like pattern from the forehead to the back of your head and may be felt down into your neck. The headache can last anywhere from 30 minutes to several days. A migraine is almost always felt on one side of your head and feels like a pulsing or throbbing pain. You may also have other symptoms like nausea, vomiting, and sensitivity to light or sound. Some women get auras as much as an hour before the headache even begins. Auras may include visual changes (like blind spots or bright flashing lights), numbness, weakness, or problems talking. Cluster headaches are not seen as often as tension headaches or migraines. They are usually felt in the temple or in the eye area and frequently are associated with at least one other symptom in the eye, nose, or face area. Nasal congestion on the same side as the headache is the most common of these other symptoms. These headaches tend to occur at the same time every day for weeks to months, hence the name cluster. What should I know about choosing a medication for my headache during pregnancy? It is usually recommended you try acetaminophen (Tylenol) for tension headaches and to avoid NSAIDs (i.e. ibuprofen, naproxen) or aspirin. Pregnancy data shows that, when used as directed, short term use of acetaminophen during all trimesters is safe. Caffeine may also be tried along with acetaminophen but it is important to limit daily caffeine intake during pregnancy to less than 200 mg, as recommended by the American College of Obstetricians and Gynecologists. Keep in mind that caffeine is found in coffee, tea, soda, and chocolate so these things must be avoided if taking a medication with caffeine in it for your headache. Butalbital and codeine (combined as Fiorect) may also be used as combination therapy to treat tension headache. However, both of these should be used sparingly because regular use can end up causing worse headaches and use during the third trimester can cause withdrawal symptoms in your newborn baby. Also, it is recommended you avoid codeine use during the first 13 weeks of pregnancy because it has been associated with some types of birth defects. 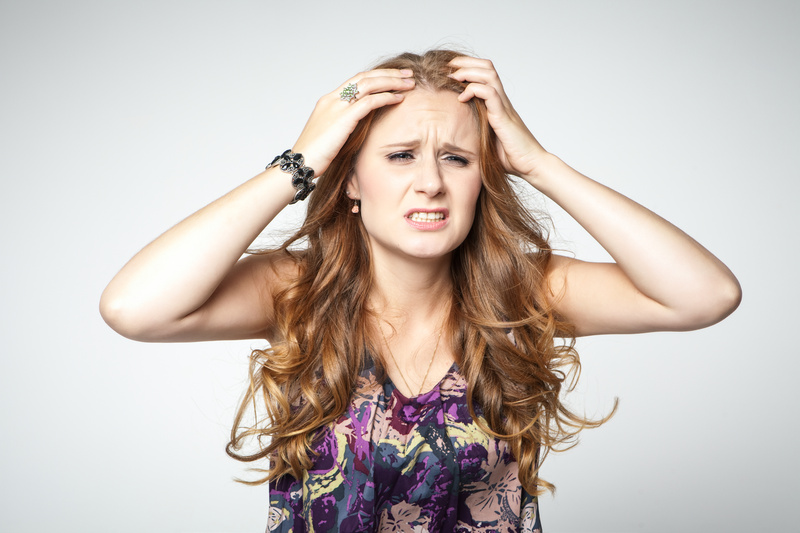 The initial treatment of migraines is similar to tension headaches. Since nausea is frequently associated with migraines, metoclopramide (Reglan) is commonly used with acetaminophen to improve symptoms. This is safe to use throughout the pregnancy. Triptans are the most common treatment for migraines in non-pregnant women but there isn’t a lot of safety information about these medications in pregnancy. They are generally avoided during pregnancy. Opiates, like Percocet and Vicodin, can be used for migraines if they don’t improve with other treatments. However, both of these should be used sparingly because regular use can end up causing worse headaches and use during the third trimester can cause withdrawal symptoms in your newborn baby. The class of medications called ergotamines, which include Migranal, Cafergot, and Migergot, should always be avoided while you are pregnant because they can cause miscarriage, preterm labor (labor before 37 weeks), and problems with the baby’s growth. Women with cluster headaches are usually treated with 100% oxygen and triptans however, triptans are usually avoided in pregnancy. Lidocaine placed inside the nose for 5 minutes appears to be a safe treatment for cluster headaches during pregnancy. As discussed above, ergotamines should not be used during pregnancy. What should I know about taking a medication for my headache when I am breastfeeding? Many of the medications used to treat headaches are considered safe to use while nursing despite the limited available information. Salicylates, like aspirin, should be used cautiously while nursing because they may cause bleeding problems in nursing infants. It is recommended not to use any of the ergotamines (Migranal, Cafergot, and Migergot) while breastfeeding because they have been found to cause vomiting, diarrhea, and seizures in nursing infants. What alternative therapies besides medications can I use to treat my headache during pregnancy? You may also want to read the following related posts in Pregistry’s blog: For a Pregnant Woman, When Is a Headache Not Just a Headache? and How Safe Are Common Over-the-counter Pain Killers While Pregnant?